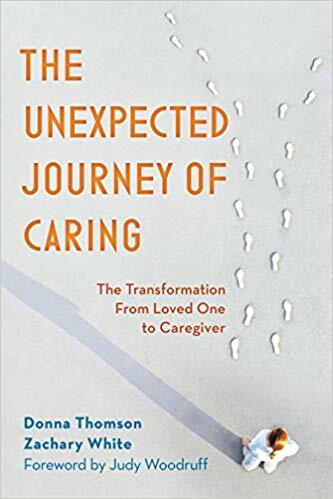 With a foreword by Judy Woodruff, The Unexpected Journey of Caring is a practical guide to finding personal meaning in the 21st century care experience. Personal transformation is usually an experience we actively seek out—not one that hunts us down. Becoming a caregiver is one transformation that comes at us, requiring us to rethink everything we once knew. Everything changes—responsibilities, beliefs, hopes, expectations, and relationships. Caregiving is not just a role reserved for “saints”—eventually, everyone is drafted into the caregiver role. It’s not a role people medically train for; it’s a new type of relationship initiated by a loved one’s need for care. And it’s a role that cannot be quarantined to home because it infuses all aspects of our lives. Caregivers today find themselves in need of a crash course in new and unfamiliar skills. They must not only care for a loved one, but also access hidden community resources, collaborate with medical professionals, craft new narratives consistent with the changing nature of their care role, coordinate care with family, seek information and peer support using a variety of digital platforms, and negotiate social support—all while attempting to manage conflicts between work, life, and relationship roles. The moments that mark us in the transition from loved one to caregiver matter because if we don’t make sense of how we are being transformed, we risk undervaluing our care experiences, denying our evolving beliefs, becoming trapped by other’s misunderstandings, and feeling underappreciated, burned out, and overwhelmed. 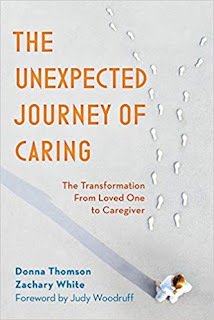 Informed by original caregiver research and proven advocacy strategies, this book speaks to caregiving as it unfolds, in all of its confusion, chaos, and messiness. Readers won’t find well-intentioned clichés or care stereotypes in this book. There are no promises to help caregivers return to a life they knew before caregiving. No, this book greets caregivers where they are in their journey—new or chronic—not where others expect (or want) them to be. Here's a short (4 minutes) video based on the themes in our book! Donna Thomson’s life was forever changed when her son Nicholas was born with cerebral palsy. A former actor, director, and teacher, Donna became his primary caregiver and embarked on a second career as a disability activist, author, and consultant. Thomson vividly describes her experience in treading delicately through daily care, emergencies, and medical bureaucracy as she and her family cope with her son’s condition while maintaining value and dignity (for Nicholas, too). She brilliantly demonstrates the vital contribution that people with disabilities make to our society and addresses the ethics and economics of giving and receiving care. 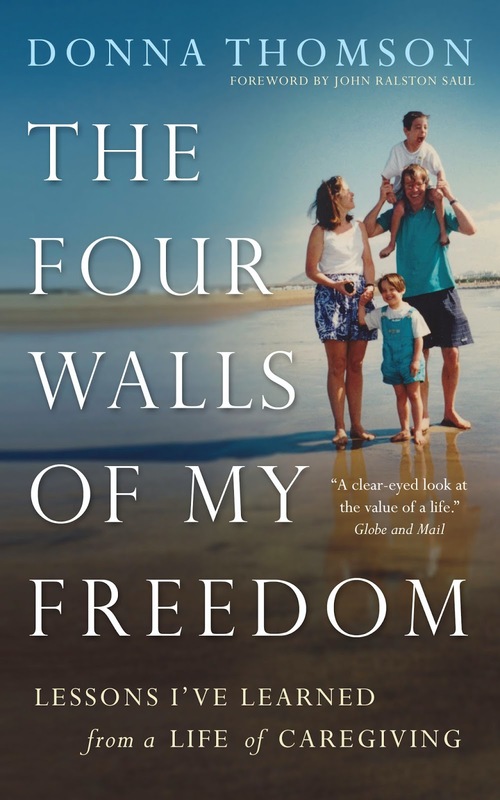 Featuring an introduction by John Ralston Saul, and two new chapters, The Four Walls of My Freedom is a passionate appeal to change to the way we think about the “good life” that will touch anyone caring for the life of another. The Four Walls of My Freedom: Lessons I've Learned From a Life of Caregiving (new paperback edition published by The House of Anansi Press, Toronto) is available now at all booksellers in the USA, UK and Canada, including Amazon, Barnes and Noble and Chapters.